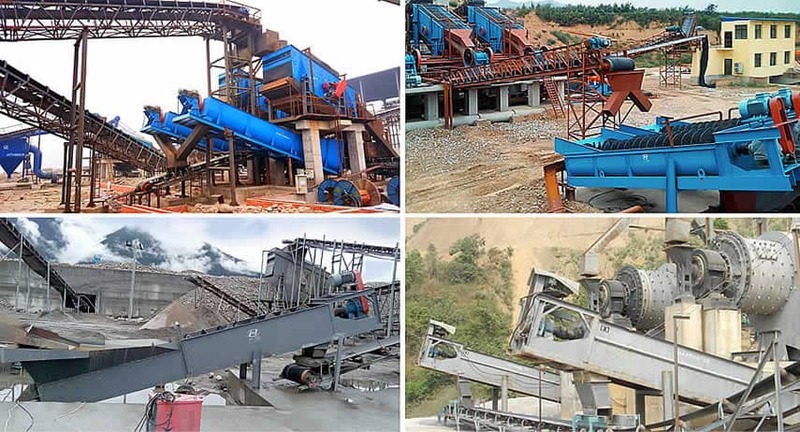 XL Series Spiral Sand Washer is an efficient desliming, sand washing and stone washing equipment, which is widely used for sand and aggregate washing,grading, removing impurity in highway, railway, construction, building materials, water and electricity industries and so on.According to the amount of washing materials,the machine can be divided into two kinds of structure, single spiral and double spiral. 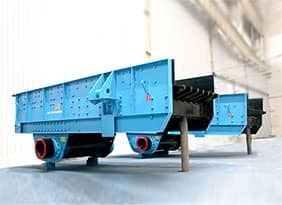 It also can be divided into two kinds, light and heavy, according to the product size of washing materials. 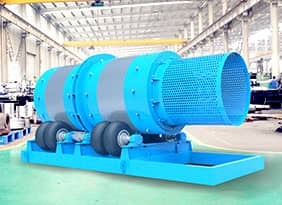 Light spiral sand washer is suitable for washing and screening of fine materials,which is less than 10 mm. 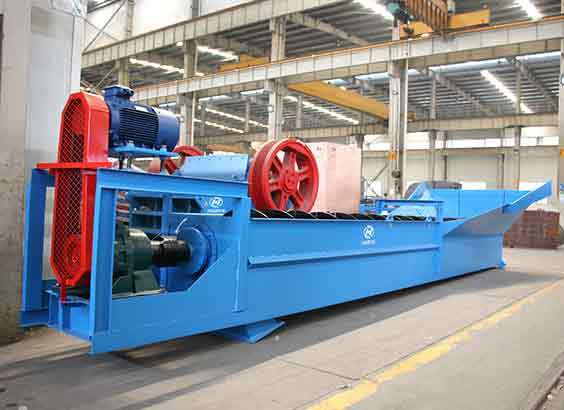 Heavy spiral sand washer is suitable for coarse materials, which is more than 10 mm less than 80 mm. 1. 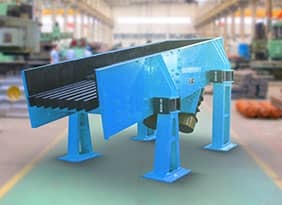 Adjustable wide overflow weir structure makes desliming, dehydration, removing impurity and sand washing more efficient. 2. 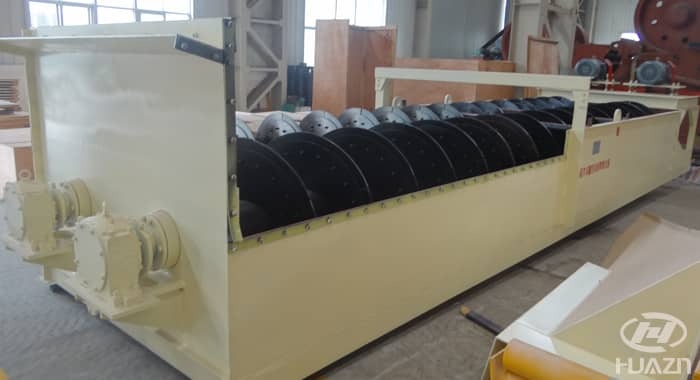 The machine are equipped with reliable driving and transmission device, special underwater seal structure of the rotary part, which ensure running stable. 3. 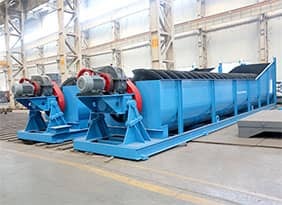 The spiral blades are made of wear-resistant materials, which ensure working continuity and reduce the running cost.